Disney Channel (originally The Disney Channel from 1983 to 1997) is an American basic cable and satellite television network that serves as the flagship property of owner Disney Channels Worldwide, a unit of the Disney?ABC Television Group, itself a unit of the Disney Media Networks division of The Walt Disney Company. The channel´s programming consists of original first-run television series, theatrically-released and original made-for-cable movies and select other third-party programming. Disney Channel ? which formerly operated as a premium service ? originally marketed its programs towards families, and then at younger children by the late 1990s. Most of its original programming is aimed at children ages 6?14, while its Disney Junior programs are targeted at younger children ages 2?7. Programming: Disney Channel´s schedule currently consists largely of original series aimed at pre-teens and young teenagers (including live-action series such as I Didn´t Do It, Dog with a Blog, Liv and Maddie, Girl Meets World, Jessie and Austin & Ally), and series aimed at preschoolers as part of its Disney Junior block (such as Sofia the First, Jake and the Never Land Pirates and Mickey Mouse Clubhouse). 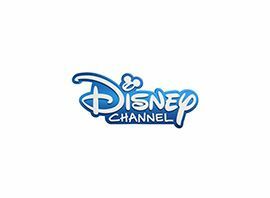 The channel also airs repeats of former Disney Channel original series (such as The Suite Life on Deck, Good Luck Charlie, Shake It Up and Wizards of Waverly Place), occasional reruns of Disney XD original series part of the "Disney XD on Disney Channel" block (such as Lab Rats, Mighty Med, Phineas and Ferb, Gravity Falls and Star Wars Rebels), original made-for-TV movies, feature films, short-form programs known as "short shows" (which air more commonly on the Disney Junior block, and are used primarily to fill predetermined five-minute gaps between programs) and music videos from artists signed to sister companies Hollywood Records and Walt Disney Records as well as songs featured in recent and upcoming Disney feature film releases (full versions of these music videos typically air only during the video´s premiere and as filler between programs, while shorter versions usually air during promo breaks during the current program). Disney Channel essentially operates as a commercial-free channel, opting not to feature traditional commercial advertisements during its in-show breaks due to concerns that younger viewers may be unable to separate the difference between programs and advertisements, and in order to pay a lower license fee rate to broadcast feature films distributed by major movie studios than ad-supported channels would pay ? in lieu of running commercials, Disney Channel maintains underwriter sponsorships with major companies such as Best Western and Mattel, in addition to in-house promotions for the channel´s programs (and occasionally, programs seen on other Disney-owned channels, most commonly Disney XD and Disney Junior) and Disney entertainment products. Atypical of most U.S. cable channels, since 2006, Disney Channel´s scripted programs (including shows featured on the Disney Junior block) feature additional scenes played over the closing credits. It also has an unwritten requirement that its original live-action series have no more than six regular cast members (So Weird was the last series prior to 2003 to have more than six series regulars within its cast, Shake It Up is the only series since that point to exceed the limit as it had seven contract cast members during its second season in 2012-13). The channel´s series tend to have smaller writing staffs compared to scripted series seen on other broadcast and cable networks (usually featuring around four and eight credited staff writers, instead of the eight to 11 writers commonly found on most scripted shows). Its live-action multi-camera series also commonly utilize a simulated film look (the FilmLook processing for such shows debuting between 2003 and 2008; the HD-compatible ´filmizing´ technique for all newer and returning original series produced after 2009, which reduce the video frame rate to 24 frames per second). During the 1980s and 1990s, Disney Channel ran classic Disney animated shorts released between the 1930s and 1960s, which were removed from the lineup in 2000; since 2009, repackaged versions of these shorts are seen as part of the short series ReMicks and have a laugh!. The channel later debuted Mickey Mouse, a series of original shorts featuring the classic Disney animated characters including the titular character on June 28, 2013.